Imperial Yeomanry. Report of the deputy adjudant-general of the Force regarding its Home Organisation, Inspection of the Constitution of its Base and advanced depots, and distribution of Stores in South Africa, and proposals for future organisation called for by the secretary of state for War. and submitted 15th May 1901. 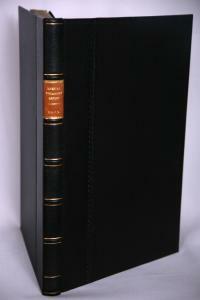 Blue paper covered - bound in black hard cover, 1/2 leather backing.